Despite the decline in the value of the Egyptian pound against the US dollar in 2016 and the inflation rate reaching unprecedented levels, managing director of Elsewedy Electric Company, Ahmed Elsewedy, believes that this is the best thing that happened in Egypt throughout the past three years. In his interview with Daily News Egypt, Elsewedy said that the Egyptian market is still attractive to investments. He considered the annual expansion of his company and other large industrial companies working in the housing sector proof of their great profits and success. 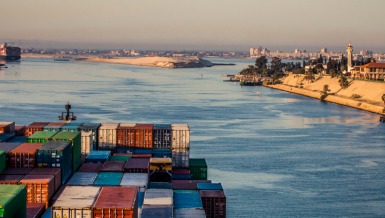 “If you ask the 100 largest companies in the Egyptian market about the volume of their business in the past 10 years, you will notice annual expansions despite the economic and political conditions in Egypt. 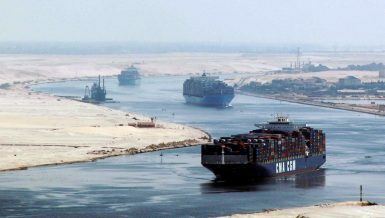 There are no troubled companies or ones that have exited the Egyptian market, they only injected new investments,” Elsewedy said. He explained that he met with a group of foreign investors who want to double their investments throughout the upcoming period because they believe the Egyptian market is promising, especially that the Egyptian population exceeds 90 million people, which makes it a consumer market. He noted that the way Egypt benefits from what is happening in the Arab and European markets makes it attractive for investments. 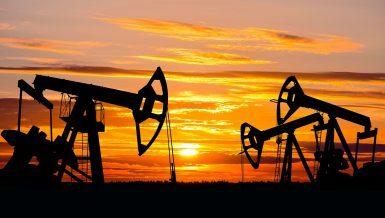 Gulf countries suffer from the decline in petroleum prices, which worries investors. The economic and financial situation in Europe is also not good. Commenting on the exchange rate crisis over the past period, he said that it does not have negative impacts on the economy, since the Egyptian economy has gone through similar circumstances before. He explained that the government’s vision to solve the exchange rate crisis goes well with its main goal to provide better lives to citizens. Egypt has been suffering from an unemployment problem since January 2011, and there is a need to hire 600,000-700,000 people every year. Elsewedy added that the largest problem the industry was exposed to during the past three years is many businesspersons shutting down their factories and focusing on investing in real estate in order to achieve quick high revenues. “This does not work,” he said. He predicted an industrial boom in Egypt over the next five years in addition to many local manufacturers competing globally, especially against the markets of China and Turkey. Factory owners will have to focus on alternatives, reduce importing, and expand internally by establishing more factories. This will eventually create brands that are able to compete. He noted that investors and manufacturers need the government to allocate large industrial lands in various governorates and industrial zones and to facilitate the procedures to obtain them. The government must also provide foreign currencies to banks, facilitate the obtainment of them despite their value, and facilitate the procedures of the entry and exit of currencies without restrictions, according to Elsewedy. “The government understands these obstacles, so it allocates lands to those who want to establish factories. It is also working to solve the dollar crisis,” he said. The exchange rate is one of the main obstacles facing the Egyptian investment climate at the moment, according to Elsewedy. He noted that the US dollar reached the price of EGP 7.5 under Atef Ebeid’s government. With Ahmed Nazif’s government the rate declined to EGP 5.25; however, the government intervened for fear of exports being negatively impacted. He explained that the government’s economic performance has been improving over the past three years thanks to the cooperation between the ministries. He considered the cooperation between both ministries of industry and electricity the main reason behind the electricity problems being solved in two years, which is considered a great accomplishment. More projects will be undertaken over the upcoming years. He praised the focus on supporting exports, in addition to the plans to establish the New Administrative Capital. “These are positive matters that will support the growth of economy over the upcoming period,” he said. 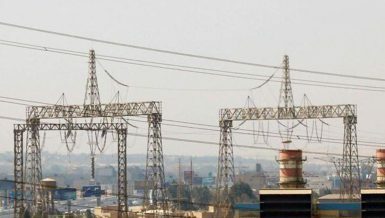 Elsewedy Electric will sign a contract with the Egyptian Electricity Transmission Company (EETC) in order to supply it with high-pressure overhead lines along the distance of 330 km, according to Elsewedy. Commenting on the company’s stance of the feed-in tariff, he explained that when the government first announced the feed-in tariff programme there was a need for diversifying energy sources. The feed-in tariff projects seemed like a good solution and a way to attract investments to the Egyptian market. He added that when the tariff was decided on in 2014, it was suitable, but currently the prices have declined, so the tariff announced by the government to purchase electricity from renewable energy plants is high compared to other markets. “In 2014, the cost of producing one megawatt was $3m, now the cost is $1m,” he said. “Both the government and investors must profit. The agreements to be signed extend to 25 years. They harm neither the investors nor the government because it is a commitment and investors agreed to negotiate with the government to achieve common interests,” he added. He explained that the issue of arbitration in case of a dispute in Egypt was one of the main reasons international bodies refused to finance solar energy projects. There are consultations with the government to reach an agreement in order to solve the issue. “Some changes will be made and a solution that satisfies all parties will be reached,” he added. He stressed that his company is awaiting the government’s announcement about the conditions of the next phase of the feed-in tariff, especially that his company, like many others, will not be able to complete the first phase. 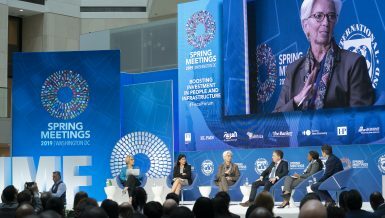 He explained that there are continuing negotiations with the international financing institutions International Finance Corporation (IFC) and the European Bank for Reconstruction and Development (EBRD) in order to finance a solar energy plant with the capacity of 50 MW, with investments worth $100m. 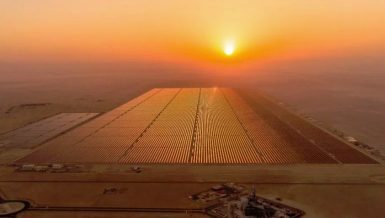 He noted that launching part of the shares of the solar energy projects for initial public offerings (IPOs) in the Egyptian Exchange (EGX) is a possibility. The company seeks to resume working on feed-in tariff projects, he said. Elsewedy Electric company has contracted with the Ministry of Electricity on a number of projects in the field of production and transmission. It seeks to maximise local production and create new jobs. The company seeks to complete the civil works of the first phase in the Beni Suef electricity plant by the end of December. In December 2014, the company signed a contract worth $706m as a general contractor for the benefit of the Electricity Ministry in order to design, supply, establish, install, and test two projects to generate electricity using six generation units of gas turbines as part of the emergency plant to cope with the increased load. The two projects work using natural gas or diesel fuel. They were gradually connected to the national grid. The first project is implemented in the location of the electricity generation plant in Ataqa in Suez. It depends on four gas generation units in the German company Siemens, which supervises the installation and carries out operation tests of its units. The second project is implemented in the location of the electricity plant in El Mahmoudeya in Beheira. It depends on two-generation units with gas turbines made by the Italian company supervising the installation. 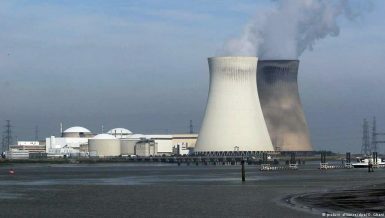 Elsewedy revealed a study that aims to enable the company to take part in the civil works of Dabaa nuclear plant. “There are consultations with companies over supplying cables for the plant,” he added. The works of Elsewedy Electric witnessed a boom during the first half of 2016, achieving profits of 109%, with net profits of EGP 1.66bn compared to EGP 792.92m during the first six months of 2015. He attributed the company’s profits to its expansions in new markets and in exporting in addition to collecting dues that have been saved for three years, which contributed to increasing profits. The company’s revenues increased by 2.2% during the first six months of 2016, achieving revenues of EGP 10.6bn compared to EGP 10.3bn during the first half of 2015. He noted that costs have declined due to increasing the business volume and job cuts outside Egypt and increasing the efficiency of the equipment. “The company always seeks to reduce costs in order to compete with other markets like China, India, and Turkey,” he said. The company’s issued and paid up capital is worth EGP 2.2bn, distributed on 223.4m shares with nominal values of EGP 10 per share, and a book value of EGP 32.24. 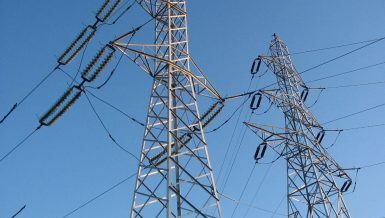 Elsewedy said that his company exports large quantities of electricity metres to Arab and global markets, including Saudi Arabia, Austria, Italy, and the Netherlands. It seeks to maximise production of electric cables and transmitters through a new production line. The company is not considering establishing factories to produce and collect solar energy cells as their technologies are continually developing. “The economies of establishing a factory are not profitable. We will buy the solar energy cells we need from abroad for the solar energy plant in Aswan,” he added. He noted that three plants will be established in Angola to generate electricity as part of the government of Angola’s emergency plan. The contract depends on conditions including the approval of the executive authority in Angola. Elsewedy explained that his company seeks to expand its investments in Ethiopia where an industrial zone will be launched. Procedures are taking place to obtain the lands in coordination with the Ethiopian government.